We’ve always had a fondness for the underdog. Perhaps this is part of the reason we are so committed to helping Northern California tenants, people who often feel like they are at the mercy of landlord. Often, relocating as a renter is a challenge because landlords, understandably, require a security deposit. Tenants who take care of their unit should be able to get this money back, money many rely on when planning their relocation. When this does not occur, our Santa Rosa security deposit lawyer can help. A report in The Press Democrat serves as a reminder that even celebrity tenants can have landlord problems. For those unfamiliar with him, Tim Lincecum is a pitcher with the San Francisco Giants who has earned two Cy Young awards, been part of two World Series wins, and was once ranked among the world’s greatest pitchers. In addition to the battles on the baseball diamond, Lincecum has been embroiled in a dispute with his former San Francisco landlord since 2010. The dispute ended last month with a settlement awarding Lincecum $100,000. In October 2011, Mindy Friele filed suit claiming the pitcher stole items from a rented townhome in San Francisco’s Mission District, destroyed other objects, and generally left the unit a wreck. Lincecum said the claims were false and filed a counterclaim asking her to account for his security deposit pursuant to California law. Representatives for the pitcher said that the settlement agreement in Lincecum’s favor is proof that the initial claims were baseless. Lincecum called the initial action an attempt to take advantage of his public profile, noting Friele wrongfully withheld his deposit in addition to filing the unsubstantiated damage claims. 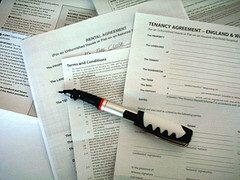 The Department of Consumer Affairs suggests that disputes over security deposits after the lease is over are the most common type of disagreements between landlords and tenants. As the Department details on a Refunds of Security Deposits page http://www.dca.ca.gov/publications/landlordbook/sec-deposit.shtml, there is very specific law on this issue (Civil Code Section 1950.5). When a tenant moves out, the landlord has up to 21 days to fully refund the security deposit or provide an itemized statement listing the amounts deducted and the reasons for the deductions, along with any remaining portion of the deposit. If the amount withheld is over $126, the statement must be accompanied by appropriate receipts (details vary by who did the work and whether it has been done or is a good faith estimate). A tenant can waive the right to receive this documentation. However, even if the amount is under $126 or the tenant has waived the right to invoices, receipts, or estimates, the itemized statement must still be provided. If you do not receive your security deposit or a proper accounting within 21 days, you have the right to sue. If a court finds bad faith, they can award the actual monetary damages incurred plus two times the amount of the deposit. For further information, call our San Francisco security deposit law firm or reach us at any of our other offices in Santa Rosa, San Jose, or Oakland.